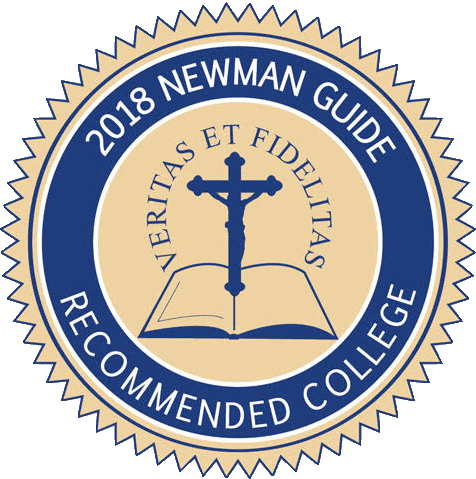 All degree programs at Holy Apostles College and Seminary are accredited by the New England Comission of Higher Education and approved by the State of Connecticut Office of Higher Education (CTOHE). Since 1998, the Master of Arts in Philosophy and Master of Arts in Theology programs have been approved for 100% online delivery. In the summer of 2014, CTOHE approved all undergraduate programs for 100% online delivery. Also in the summer of 2014, Holy Apostles received Associate Membership in the Association of Theological Schools (ATS). In the academic year 2013-2014, both the undergraduate and graduate programs underwent a comprehensive curriculum review process. This review process, finally completed on November 8, 2014, provided the structure for a more intentional educational effectiveness plan. Each of the degree programs now has clearly articulated program goals and outcomes, assessable through the co-requisite courses and program core. In addition, each of the concentrations provides a means for assessment of the program goals and outcomes based on their alignment with the goals and outcomes articulated for each of the concentrations. Both program and concentration goals and outcomes are assessable through the course-level outcomes, which are themselves assessable through the accountability exercises. Given that proper alignment that now exists from the course-level outcomes to the program-level outcomes, the Assessment Committee will choose three outcomes for each degree program and one outcome for the concentration within each program. With the AA, BA, MA in Theology, MA in Philosophy, MDiv, and MAPS degrees, then, we will need six sets of program outcomes statements. To ascertain whether we are meeting those outcomes, we will measure them against actual artifacts that the students produce, such as homilies, portfolios, comprehensive exams, and MA theses. What do we make of these data? What changes do we actually make prompted by these data? Once we identify that change is required, we will determine, based on the nature of the change, whether it should happen at the course level, the concentration level, or the program level. In addition to our using an outcomes alignment indicator to monitor the effectiveness of our programs, we are also developing for that purpose “a variety of quantitative and qualitative methods and direct and indirect measures” (NEASC Standard 4.54) in order to ensure that we are meeting our student learning outcomes while providing for student achievement and success. Given that we are starting on this new assessment process in the 2014-2015 academic year, we expect to be able to regularly post data and analysis concerning it on this page, which we will update at the end of every academic term.